Physical inactivity is a major threat to health. It contributes significantly to many common cancers, diabetes, coronary heart disease and many more health conditions. These conditions can substantially reduce people’s quality of life through worry, pain and disability. Becoming more active, at any stage in life helps to reduce the chance of getting these conditions; it can also improve treatment outcomes and can reduce the impact of these conditions on people's lives. There are UK guidelines for physical activity that recommend that adults should aim to achieve 150 minutes of moderate activity over a week and these should be accumulated in bouts of 10 minutes or more. Recent figures suggest that a significant proportion of adults in the UK are not active enough. 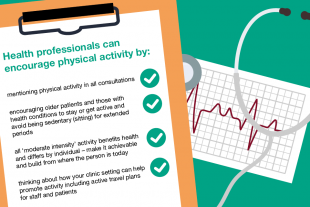 However, on a brighter note, there is good evidence to suggest that when healthcare professionals promote physical activity in consultations it is effective in increasing activity levels, at least in the short term. This has led to work to engage healthcare professionals in discussing, promoting physical activity with their patients and signposting them onto other sources of support to become more active. The allied health professions (AHPs) are a group of 14 professions who together make up the third largest professional group in the NHS workforce. AHPs are a diverse group in many ways, but we are united in our collective ambition to improve the health of the public and improving levels of physical activity is central to this work. A physiotherapist teaching parents how to engage their young child in active play. A prosthetist working with a child following an amputation to ensure that they are confident and able to participate in PE at school. 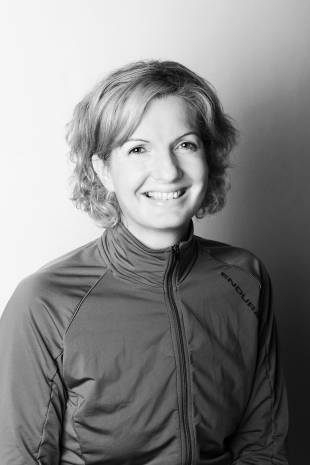 A therapeutic radiographer explaining how increasing physical activity can help manage treatment side effects and also enhance treatment outcomes following radiotherapy for breast cancer. An occupational therapist using physical activity as a way to manage anxiety with a young man following a head injury. 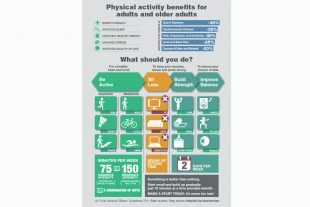 A paramedic discussing physical activity as a means of promoting independence and reducing risk of falling with an older person in their own home. A podiatrist promoting physical activity to an older person with a venous leg ulcer as a way to promote healing and improve cardiovascular health. These are, of course, just a few examples of the routine interactions that AHPs have every day with patients at every stage in life. It is equally important that AHPs take the opportunity through their interventions to promote physical activity in general. Public Health England has just launched phase 2 of the ‘Active 10’ One You Physical Activity campaign, which aims to encourage adults to build more physical activity into their life with a daily brisk ten minute walk. This is a great opportunity to start a conversation and signpost people to supporting resources and a healthier lifestyle. Public Health England’s One You resources contain lots of useful information and encourages people to move more, sit less and build strength. 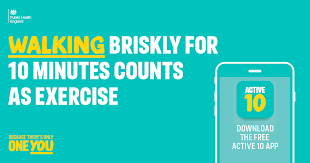 To help people incorporate a brisk ten minute walk into their day, people are being encouraged to download the free Active 10 app which shows how much brisk walking an individual is doing and where they might fit more activity into their day. I have tried it, I was really surprised to see that, although I clocked up lots of active minutes, very few of them were brisk enough. It has put a spring in my step! Patient contact time is precious, it is filled with many competing priorities and it is easy for a discussion about physical activity to slip down the list. The Active 10 resources allow you to keep the chat short by giving you credible, user-friendly resources to direct your patients to. 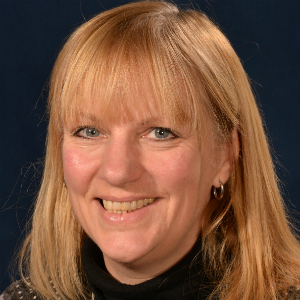 If you need to build your knowledge and confidence to make the most of this precious time then All Our Health brings together information and resources all into one handy location and includes a specific topic on physical activity and falls. Healthcare needs to change; it needs to value and prioritise physical activity and this applies to our own activity habits, the culture of our work places, the spaces that we work in, the ways in which we travel from A to B, as well as the actual clinical services that we provide. AHPs and all healthcare professionals need to think creatively and work collaboratively to ensure that we use every opportunity to tackle inactivity. 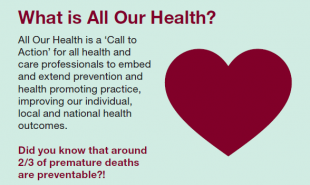 The PHE Campaign Resource Centre can be contacted for further information on the campaign and supporting resources.